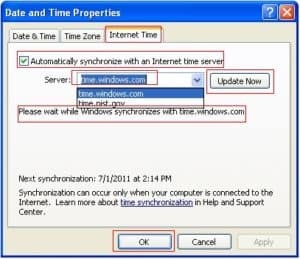 If your computer is not maintaining the correct time, you can sync you computer clock with internet time server. If sync is enabled, your computer clock is sync with an internet time server once a week. It’s only work if you have internet connection. When you save or edit any document, a date and time stamp will add based on you computer time. Same in the case of outlook emails etc. Next sync schedule would be next week. Date and Time zone should be correct otherwise it will sync with selected time zone. You are not connecte to the internet. 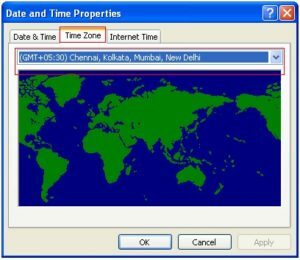 Your personal or network firewall prevents clock sync. The internet time server is too busy or not available. The date set on you computer is incorrect.